To Kill a Mockingbird was one of my favorite books as a child, it was a story of courage in the face of stark opposition. In this quote from the book, Atticus, one of the books protagonists, is explaining his definition of true courage. While I fully agree with the quote, I consider courage to be more than just continuing when the odds are stacked against you. Courage is pressing on in spite of uncertainty, courage is standing firm for your beliefs or convictions no matter who is coming against you. Courage is more than just fighting when you feel you are beaten, courage is fighting to win even when you are outnumbered. I am inspired to write this post today because my younger brother is currently in the hospital fighting courageously against an illness that I know he will defeat. It is never easy seeing a loved one go through pain, but I know by the grace of God, that he will be fully healed of his sickness. I dedicate this post to every person who ever has or ever will fight against an illness. As long as you are willing to fight, you will get better, just be courageous and never give up. Sometimes you never know how far you can go until you have another person pushing you. Even when you set a goal for yourself the biggest obstacle to overcome is your own doubt. In my opinion, this quote hits the nail on the head when it comes to speaking about human nature and motivation. We all have goals, hopes, and dreams, but often times we don’t know where to begin or if we can even start. We like to know that it is possible to reach our goals, that is why we speak to others about our ambitions in hopes that we will be inspired to proceed. To illustrate the importance of having outside inspiration I will refer to the job of a personal trainer, these individuals push their clients far past their “limits” in order to prove that they can do much more than expected. It is not always easy to have someone push you, but it is always more beneficial than quitting a task far too early. I understand that everyone would prefer to be self motivated, but it is important to surround yourself with people who are willing to push you harder than you thought you can go, in order to reach the higher levels that you know you deserve. Dr. Martin Luther King Jr. was proof that people can live a full, purpose driven life, even if it is cut short. Martin Luther King Jr. was a civil rights leader in the south, who is widely acknowledged as one of the major driving forces behind the end of segregation. Dr. King was an activist at heart, and he wasn’t just chasing any frivolous cause, he was trying to make sure that his children did not have to grow up in the same divided United States of America that he knew from his youth. Dr. King was not only demonstrating and marching for his children, but also for everybody who would ever call Earth their home. King did not want the same hate that existed in this country for decades to be accepted as the popular norm any longer, and he used peaceful methods to protest this hate. The use of peaceful protests is an extremely brilliant tactic, as it gives a clear contrast between two sides of an argument, and right is almost never violent. I admire Dr. King because he showed magnificent resolve in approaching his mission, he was a man who always felt he had a calling in life, and when he found out what it was, he threw himself fully into his task. Martin Luther King Jr. is one of my favorite people in history because his work changed the course of history, and while his dream may not yet be fully realized, the ideals he fought to instill are already in motion, and thriving to this day. Never stop chasing your dreams, that is a motto that seems to find its way into my blog regularly, and it is definitely one to live by. I honestly believe reaching a goal successfully takes hard work, preparation, and persistence. There is no better way to portray true persistence than by likening it to breaking down a brick wall. A brick wall is tough, and knocking one down is a daunting task, but the incredible thing is that brick walls are not unbreakable. Though these walls are meant to keep things out, if one wanted to get through it all they need is time and a true desire to break it down. Randy Pausch made this statement to a class of his students during his “last lecture,” he knew he was given a death sentence, but he decided that the brick wall that was his health was not going to keep him from sharing his life lessons and wisdom with his students one last time. Pausch used the brick wall to describe any obstacle that his students may face in life, and let them know that these “brick walls” are only walls to those who don’t want it bad enough. Obstacles in life, like a brick wall, always seem extraordinary, but with persistence, hard work, and desire, any brick wall can be broken down. Dads get a pretty bad rap nowadays, I understand that there are many bad men who leave women with their children, but Father’s Day is not for them. Father’s Day is for real fathers, the guys who know who their children are. I just had to start with that because, over the past few years, I have seen postings over social media belittling Father’s Day due to the fact that some mothers raise their children alone. I respect single mothers and know they work very hard but today is for the fathers, the ones who do their job. The job of a father is an interesting one, especially in humans, a father is tasked with teaching their son to be a man, and also with teaching their daughter what a man is. In most species on this planet fatherhood is just a means to proliferate the species, but with humans fatherhood is more than just the physical act of producing progeny, it is also about rearing them correctly. 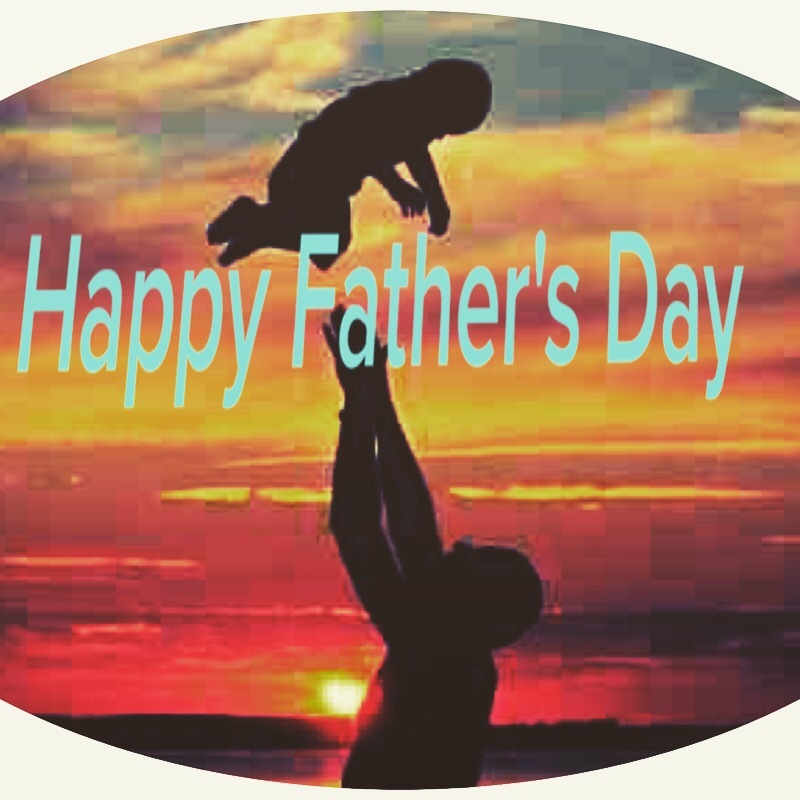 Fatherhood is a difficult job, yet many men have taken up this task and done magnificently, so I would like to salute my dad and the great dads out there who have worked hard and raised generations of children aspiring to follow in their footsteps. One of my favorite animated movies is The Prince of Egypt, this movie is based on the biblical story of Moses, his birth, and how he was used to free the Israelites from Egypt. The Prince of Egypt is a fantastic movie full of musical scores and a compelling story, as it traces the exploits of Moses in a way that is easy to follow for children and adults alike. This movie, while not completely biblical, is possibly the best adaptation of the story I have seen in years as it ditches the Hollywood style of romanticization for a more humble and heartfelt approach of telling the story. The story of Moses has seen many different cinematic releases, most famously in 1956 with Charlton Heston playing Moses in The Ten Commandments, but few are as effective at showing the moral of the story as The Prince of Egypt. The recent film, Exodus, made an attempt to retell the story in a more modern dramatic fashion but in my opinion the director completely missed the point. In Exodus, Moses was portrayed more as an unstable barbarian than as an unlikely leader, the way Moses was portrayed somewhat cheapened the gravity of what he did in the story. While the Exodus movie is good, when taken as purely an action movie, it fails to effectively tell the story of The Exodus, as it chooses action of storyline. The Prince of Egypt is a great film for the family and a splendid example of story telling via animation. I definitely recommend the movie to anyone who hasn’t seen it. It is a great family film and viewers of all ages will find themselves singing along with the catchy tunes for weeks.